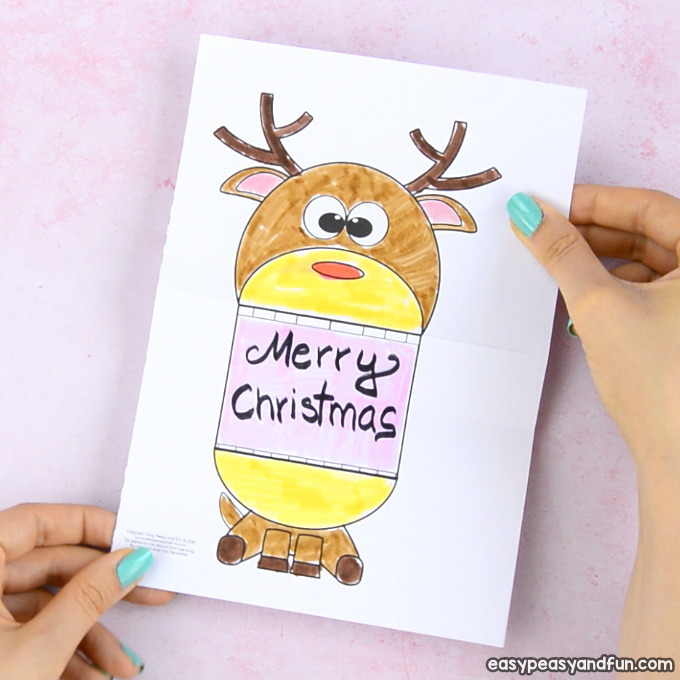 Where would Santa be without his reindeer (and Rudolph to guide them all)? 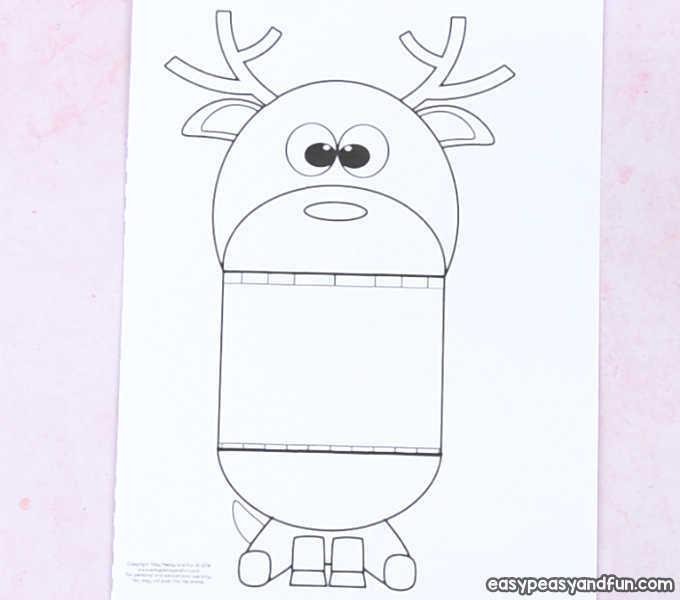 Print out our Surprise Big Mouth Reindeer Printable, have the kids color it in, fold and have lots of fun playing with it. Christmas time is a fun time! 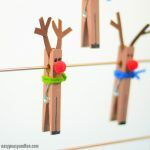 We love anything reindeer and Santa related, as well as all other Christmassy things. 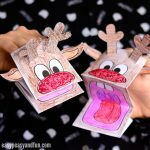 We made the Santa and reindeer printable puppets a while ago and they were a huge hit, as well as were our Christmas cootie catchers – so we are really excited to add another movable Christmas project to our collection. 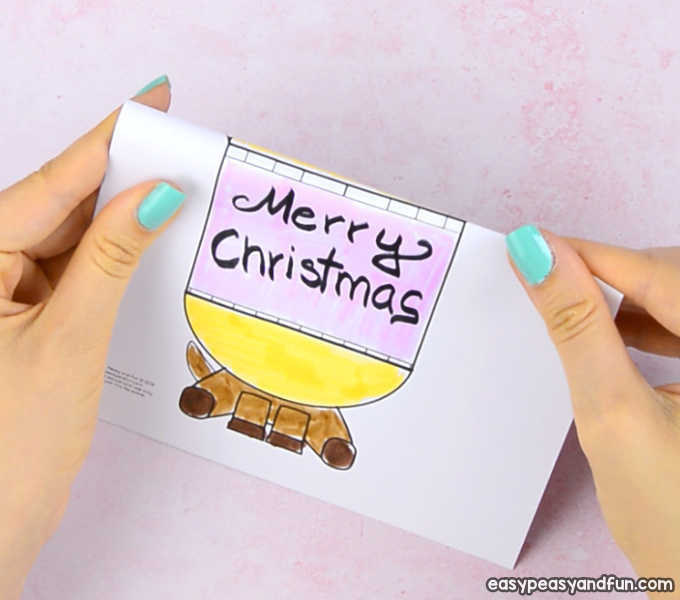 This one serves both as a coloring page and as a printable paper toy. It’s also an invitation to create, so it can be a confidence building art project – with kids having the option to design their own backgrounds. 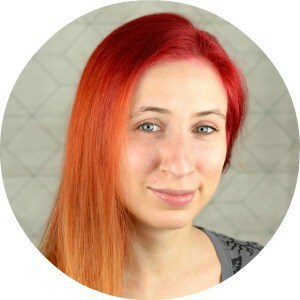 Starry sky, Christmas lights or any other background they can think of. 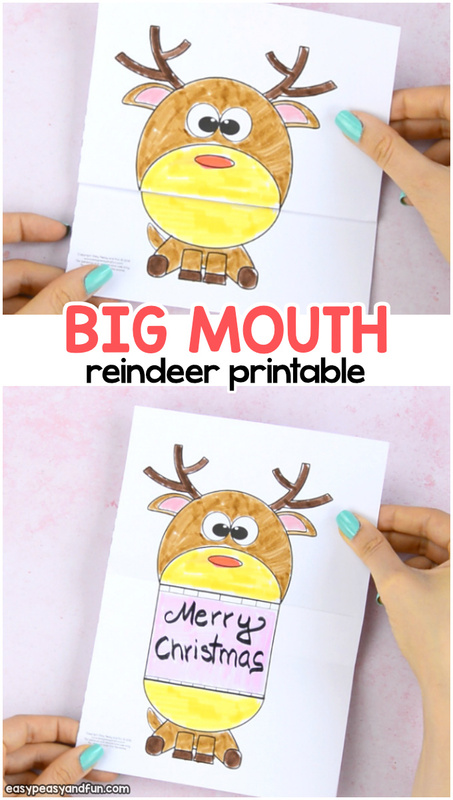 You can also use these as DIY Christmas cards, just have the kids write their seasonal greetings inside the reindeer’s mouth. Once the mouth is opened the secret message will unfold. Start by printing out our template. 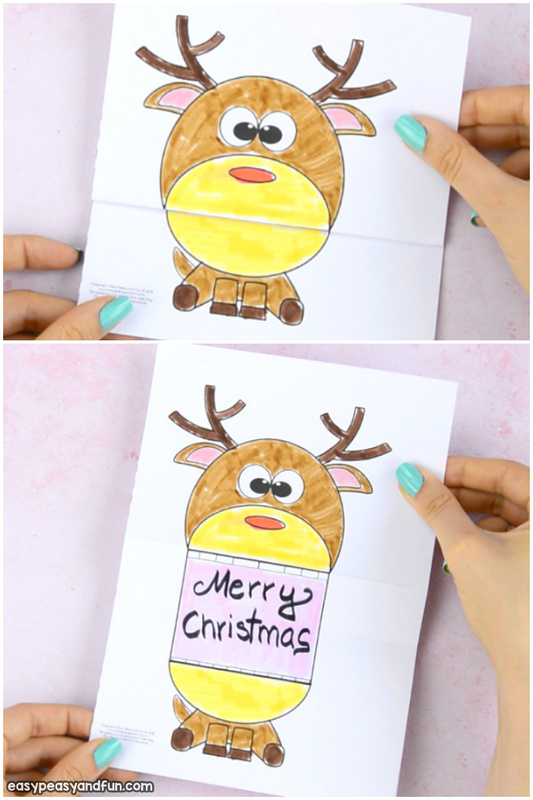 If you are preparing this as a classroom art and craft project, we do recommend you go with the smaller of the two versions. 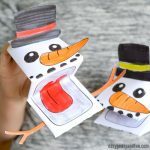 Not only is it more frugal as it has two crafts per sheet of paper it also makes for a quicker project. The area to color is smaller so kids will finish with the drawing sooner. If coloring with markers or paints we do recommend heavier print paper. 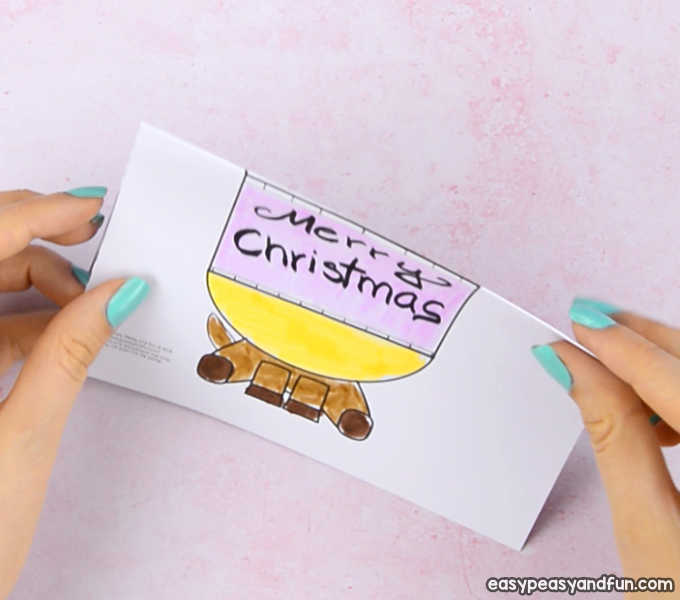 Regular print paper is fine if kids will color with crayons or coloring pencils. If working with younger kids (preschool age), we do recommend regular print paper as it will make folding it easier. 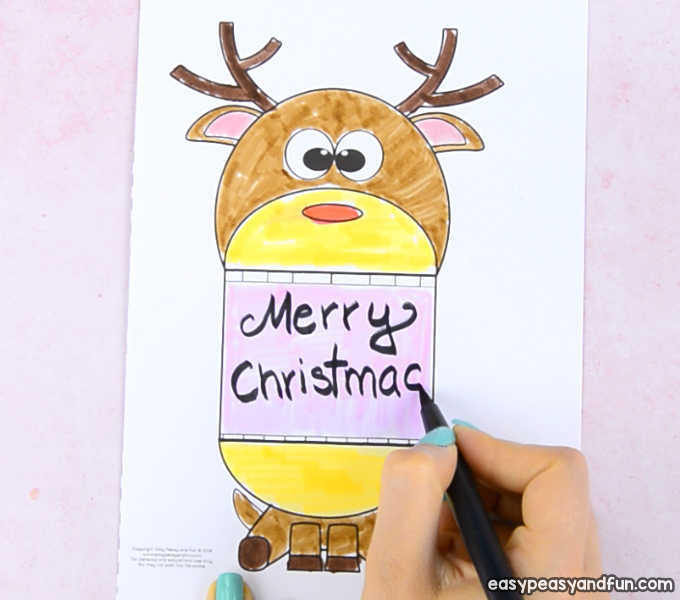 Once the design is printed and ready to “go”, have the kids color the reindeer. They can stick with the proper colors or have their imagination run wild. 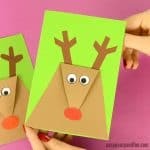 Regular reindeer or Rudolph? Let them pick their favorite. 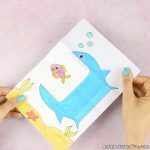 If you want to incorporate a bit of art in this simple project, have the kids also design their own unique background. 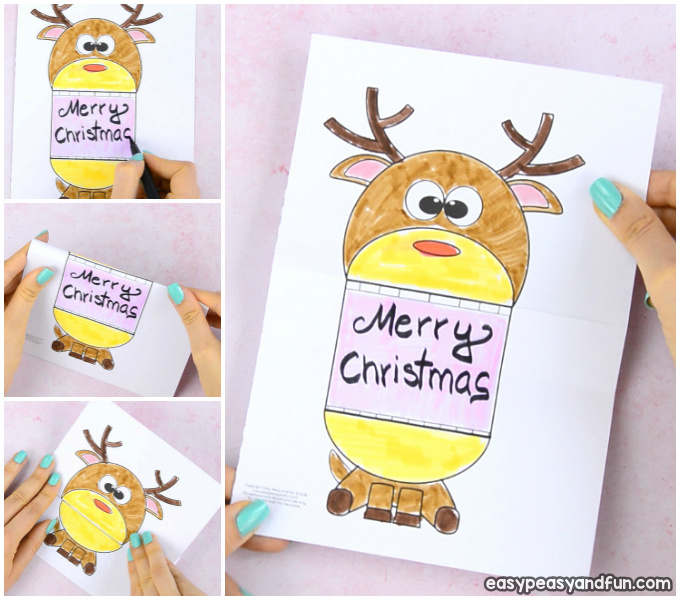 Once the reindeer and the background are all done, move to the folding. 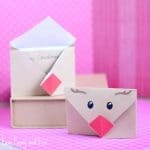 Fold along the upper lip line, across the whole paper width. Make the fold really crisp. 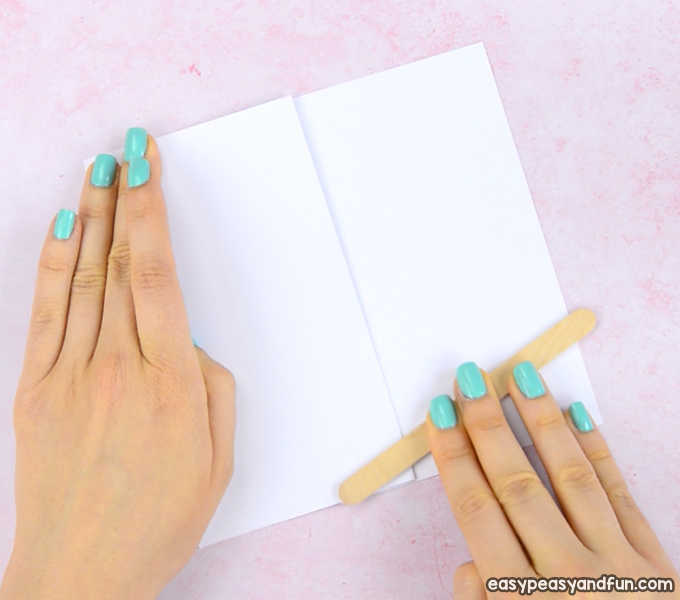 Last step before you complete your project is to bring the upper lip fold, down to the lower lip line and press the paper down. 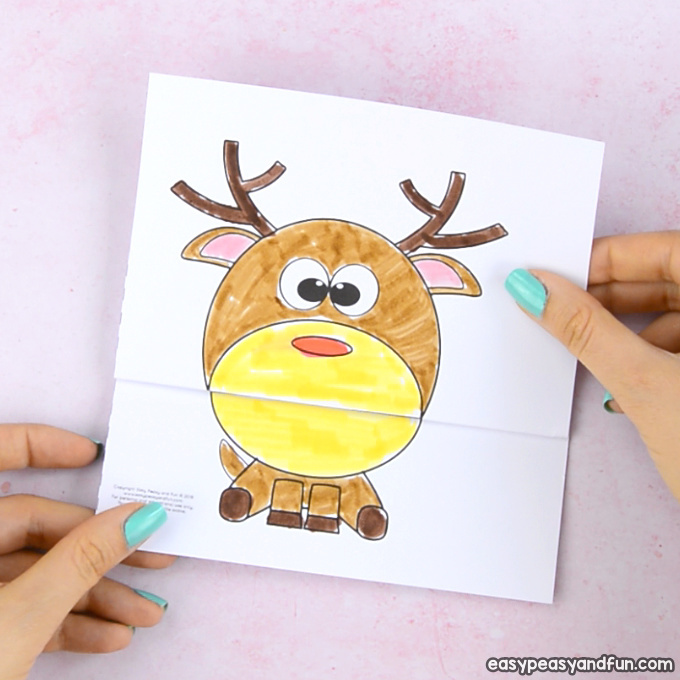 This will create another fold inside the reindeer’s mouth and complete this project. All done! You can now have your reindeer open and close it’s mouth.